Zombie Nurse fancy dress costume from a Real Plus 18-40. This costume is made to order so please allow at least 7 days for delivery. 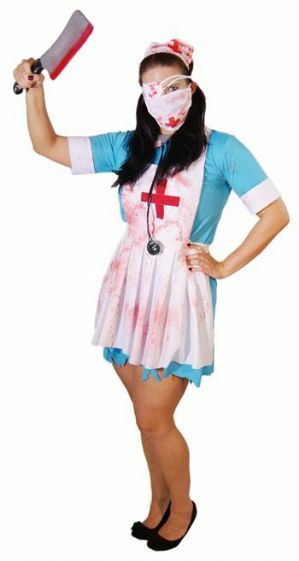 Zombie Nurse costume includes short blue nurse dress with ragged hemline and white collar and cuffs and a seperate white apron. Also included is a bloodied nurse accessory set of eye patch, headband and face mask. Also includes stethoscope and a large bloodied plastic weapon. This costume is also supplied with a tube of fake blood for you to add our own bloody effects. I love the outfit, I'm so happy with the purchase. Gladly would purchase more products from Large & Lovely again as it well worth the price. 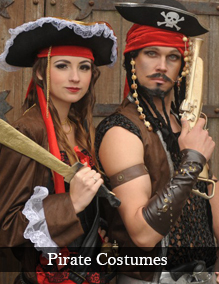 Costume is thin and comfortable material easy to wear. Thanks again for the products.